Transportation is a tricky part of any planner's job. If done poorly, the impact can felt long after the event is over. But if done well, it can actually enhance the overall experience of your event- without killing your budget. Below are six tips for making your event transportation a success! 1. Choose destinations that are easy and affordable to access. Your attendees' experience starts the minute they set off for your event. Even though planners aren't typically responsible for inbound and outbound travel, there are ways you can still influence a positive experience. When considering event location, contemplate the ease, centrality and affordability of a destination. A great choice to consider, Dallas is centrally located and is less than four hours by air from anywhere in the U.S. Plus, DFW Airport provides nonstop service to 149 domestic and 55 international destinations. 2. Don't forget arrival and departure logistics. 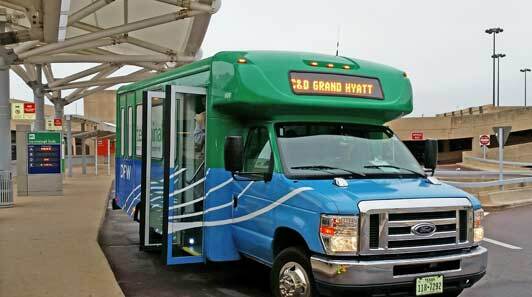 Remember that transportation is the first and last impression for attendees - and little details count. Schedule the end of the event so attendees can take the last afternoon/evening flight out and avoid the cost of an additional night's stay. Also, make sure you anticipate any negative travel situations by checking for arrival/departure delays, traffic jams or potential customs/immigration roadblocks. 3. Seek out public transport. Cities around the country are improving their mass transit and adding walkable, bikable neighborhoods. Destinations that have well-developed city centers near your primary event/convention space offer dining, shopping and entertainment options either within a comfortable walking distance or short train/bus ride away. 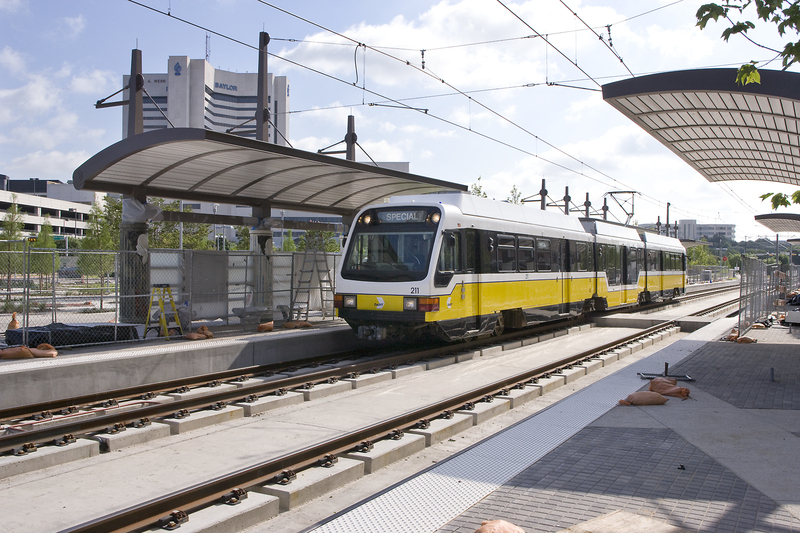 For example, the Dallas Area Rapid Transit (DART) trains run regularly from the Convention Center to hotels, shopping, entertainment, and dining venues all over the city – offering not only a green and convenient option for your attendees, but also significant cost savings for your clients. 4. Consider a transportation management company. If you are faced with complicated people-moving logistics, it's helpful to call in the experts. Experienced transportation management companies can negotiate the best rates for high quality transportation, and ensure attendees are transported safely and on-time. 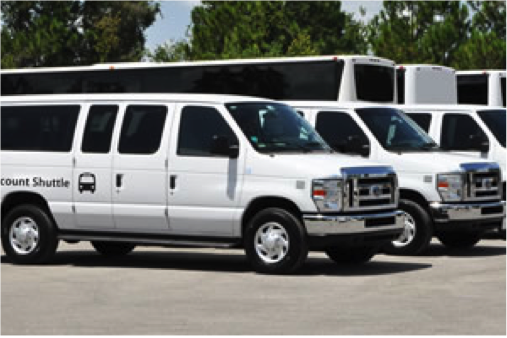 For large events, transportation management companies are also helpful because they handle all of the logistics related to your meeting, including designing shuttle routes; ensuring shuttle buses have the appropriate permits and comply with city parking regulations; hiring and managing staff; and sourcing safe, new and environmentally friendly vehicles. 5. Invest in doing it right. The lowest bidder might be tempting, but don't treat transportation like an afterthought. Even though it's not the most visible component, moving people in a timely, orderly fashion is a critical element of your event. Resist against borrowing from your transportation budget to upgrade your F&B. 6. Have a Plan A, B, and C - and rehearse them all. Don't expect anything to go exactly as planned. Anticipate your roadblocks and areas of concern before the event and then, develop a game plan of alternatives to avoid scrambling at the last minute. Also, in destinations with unpredictable traffic, or for complex, tightly-timed transportation, consider a dry run to approximate time and identify potential pitfalls. For more information on planning your next meeting or event in Dallas visit www.visitdallas.com/meeting-planners or call our planning partners at 800-232-5527.